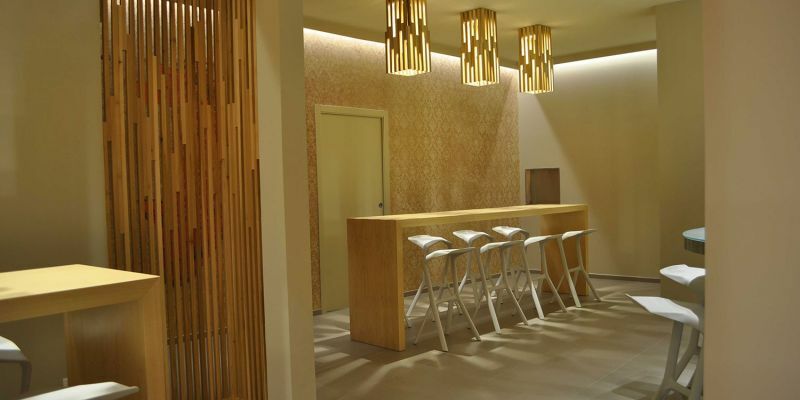 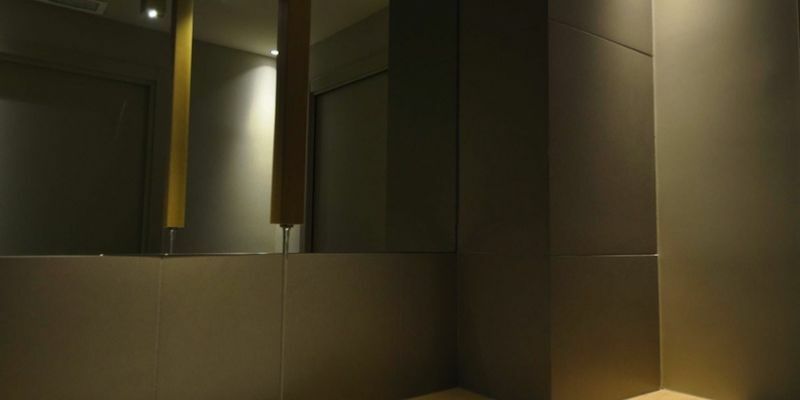 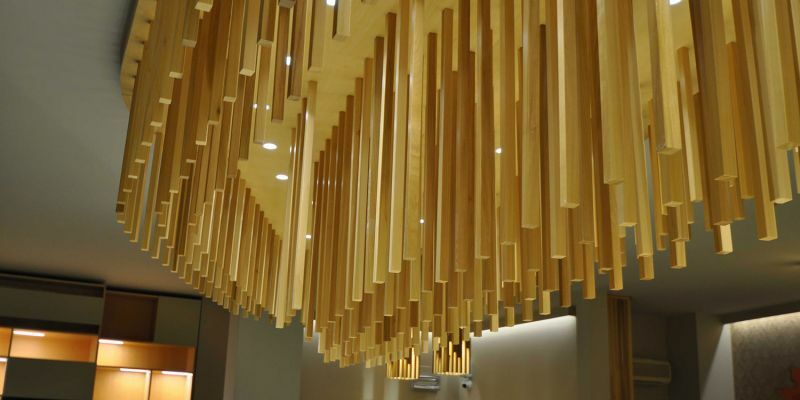 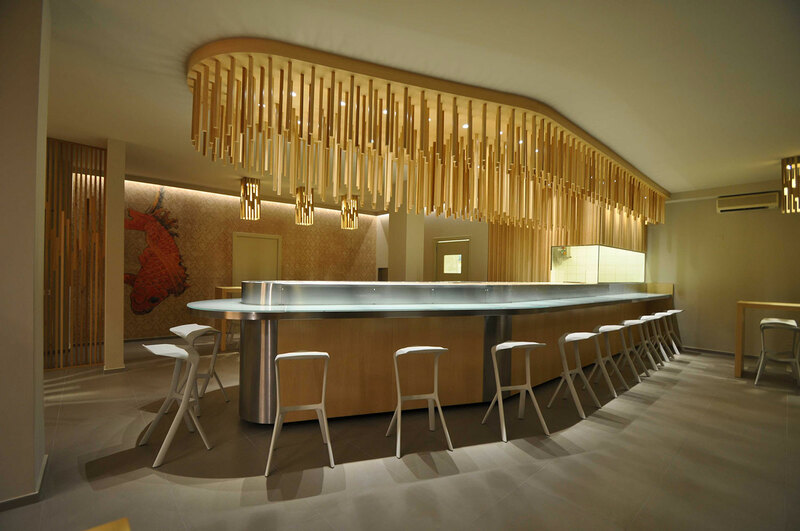 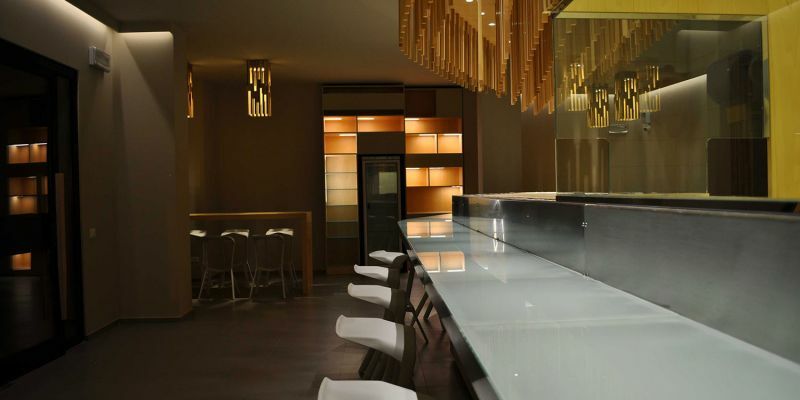 In 2012, the Lighting Designer Stefano Dall’Osso, in partnership with Solodesign studio, carried out the lighting project of the SushiTa Japanese Restaurant in Ancona. 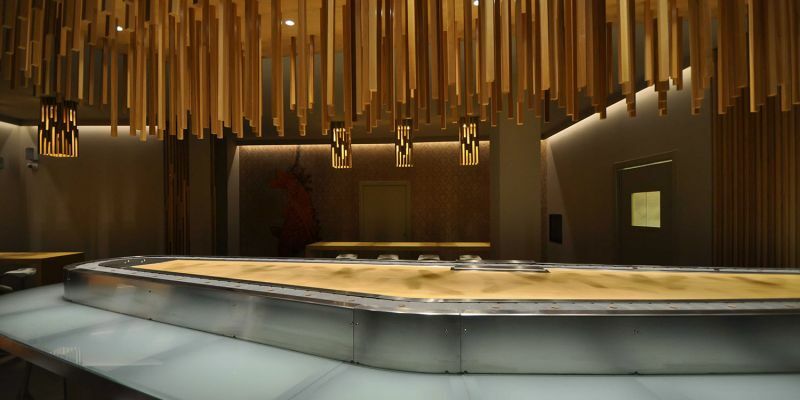 The restaurant fully embodies the Oriental traditional style, even if revisited from a Western perspective and accompanied by the use of natural and ecologic materials. 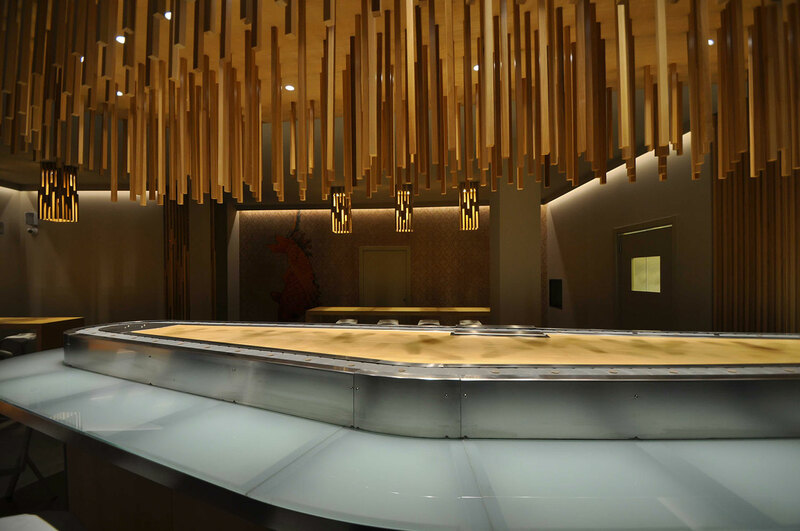 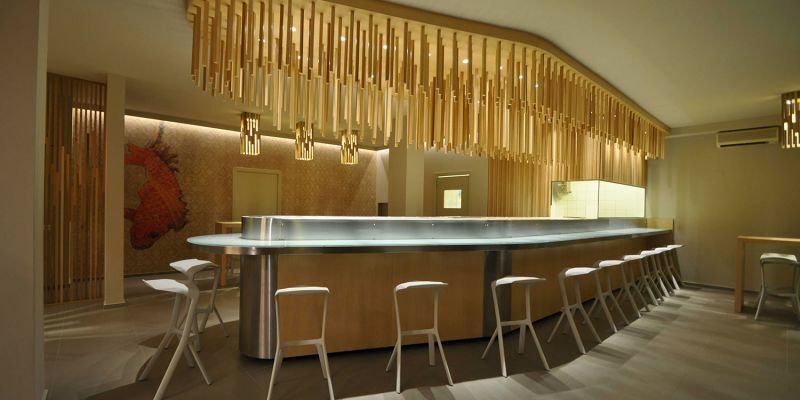 The key element of the place is the kaiten, the conveyor belt where the exclusive dishes are carried, lighted by a system composed of a deluge of wooden pendants outlining the curvy path and creating evocative plays of lights and shadows. 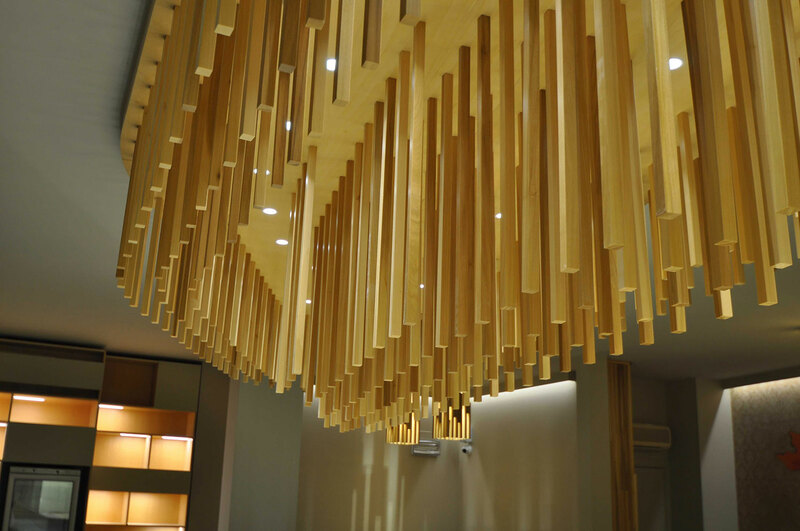 All around, ceiling-mounted luminaires interact with each other and modulate plays of light in the different areas of the space, thus creating an extremely evocative environment. 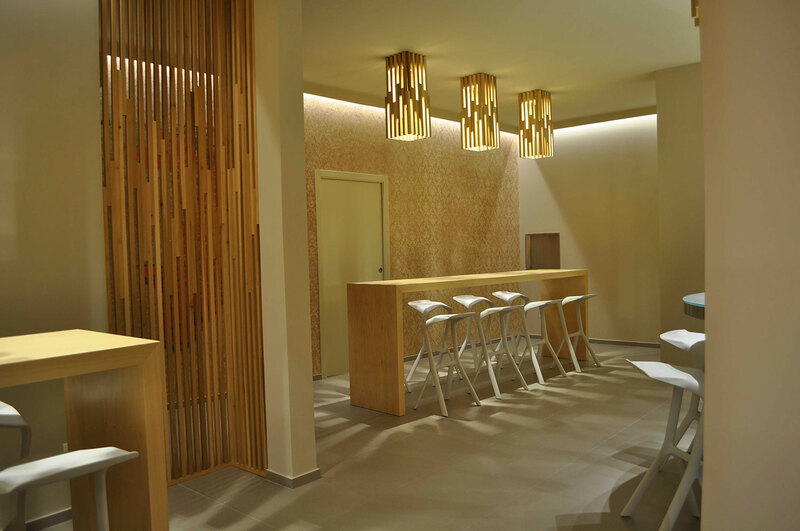 The lighting project was thought with the aim of creating a peaceful and meditative atmosphere that could allow people to fully immerse into Japanese culture, renowned for its rigour and calm. 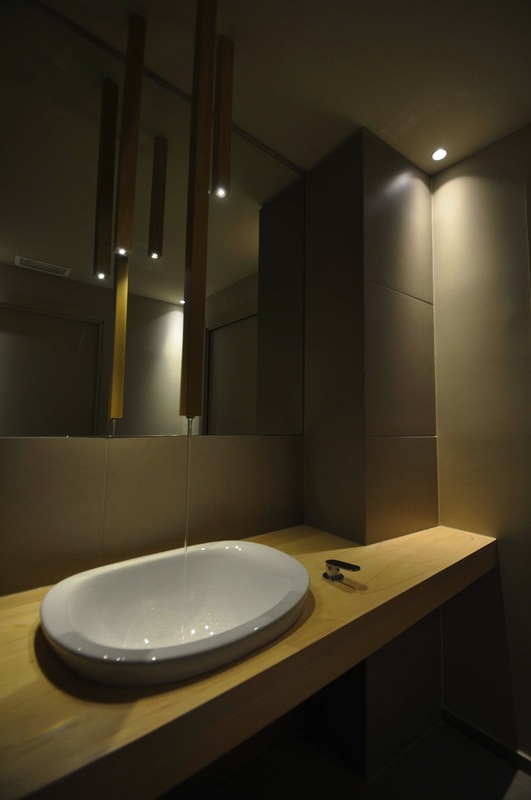 In the original idea even the economical aspect was taken into account; actually, from an energy-saving perspective, the whole lighting has been set up with state-of-the-art Led luminaires, controlled by a home automation system able to create different scenographies. 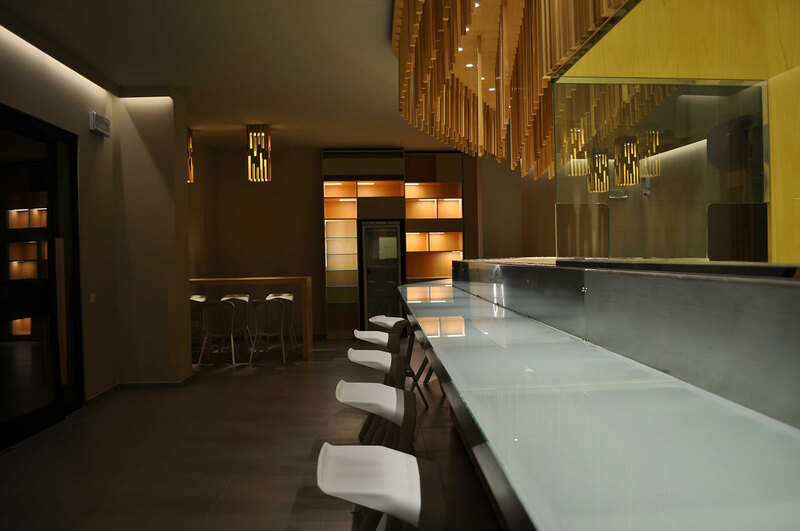 The final effect is a cosy, but functional environment where the attention is totally focused on the exclusive delicacy of Japanese cuisine.